Offering up the finest kayak fishing Ontario has to offer for over 10 years, Nomad Adventures are Canada's kayak fishing experts. We are situated in the heart of the Southern Ontario Peninsula surrounded by three of the Great Lakes: Lake Erie, Lake Huron, Lake Ontario, plus Georgian Bay and Lake Simcoe all within 200kms of our Cambridge location. 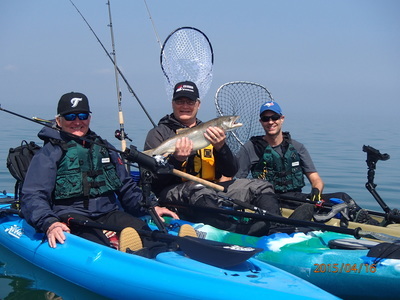 We offer guided kayak fishing trips, fishing kayak rentals, and kayak fishing tournaments throughout the province. 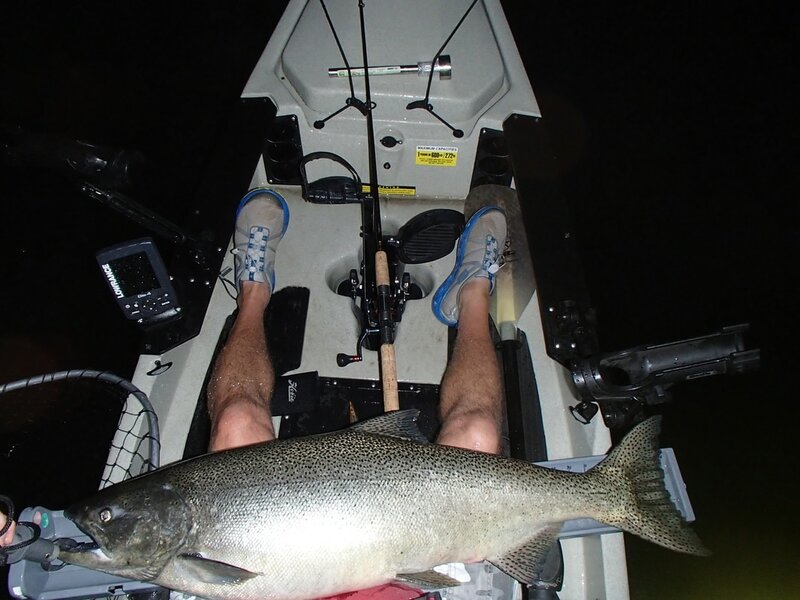 View our many kayak fishing galleries and trip options to see what your next fishing adventure may be! 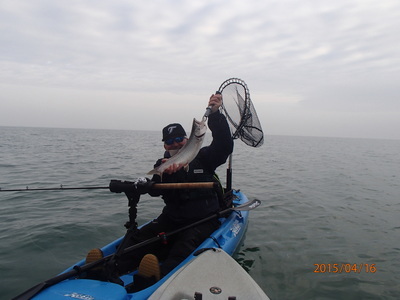 Our guided kayak fishing adventures consist of rivers, smaller inland lakes and the Great Lakes. 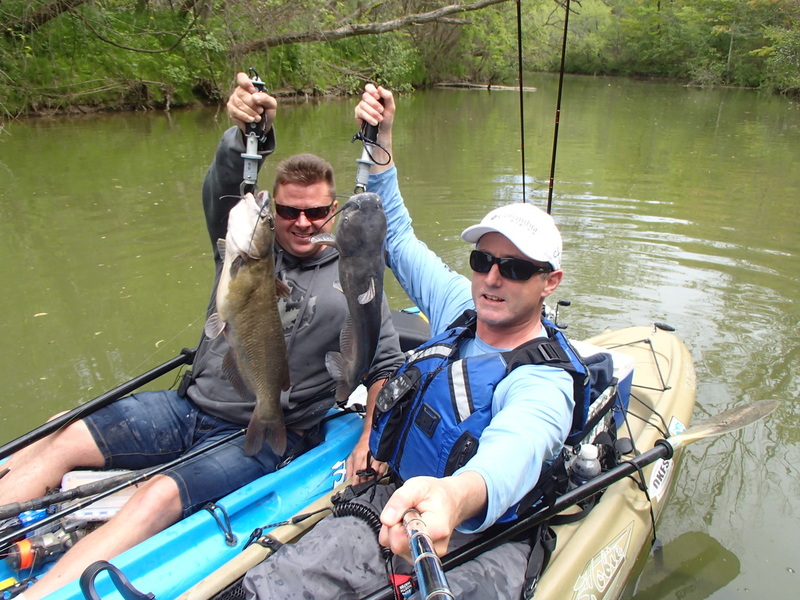 We offer several trip options for our home waters, the Grand River. 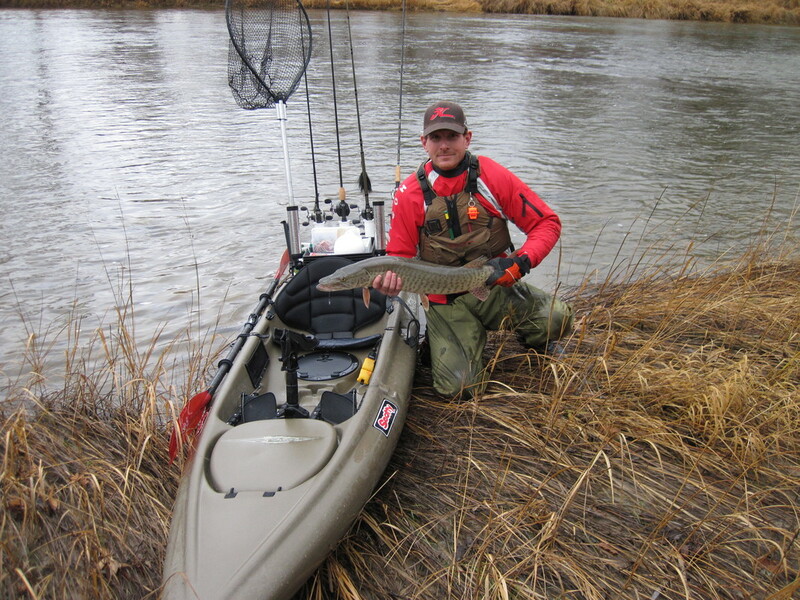 Saugeen River kayak fishing trips run June to October for a variety of species including bass, muskie, pike, and trout. 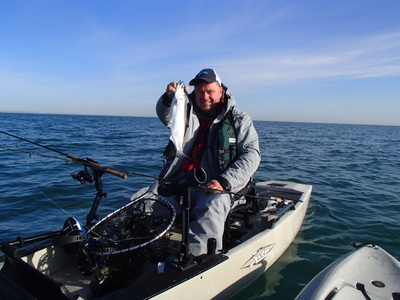 Fish the warmer shallow water of Lake Huron and Lake Ontario for spring salmon and trout. Atlantic Salmon, Chinook Salmon, Coho Salmon, Brown Trout, Lake Trout, and Steelhead are all within reach. 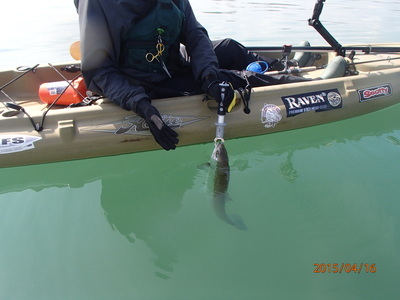 Or head east to Bay of Quinte for big northern pike and trophy walleye. 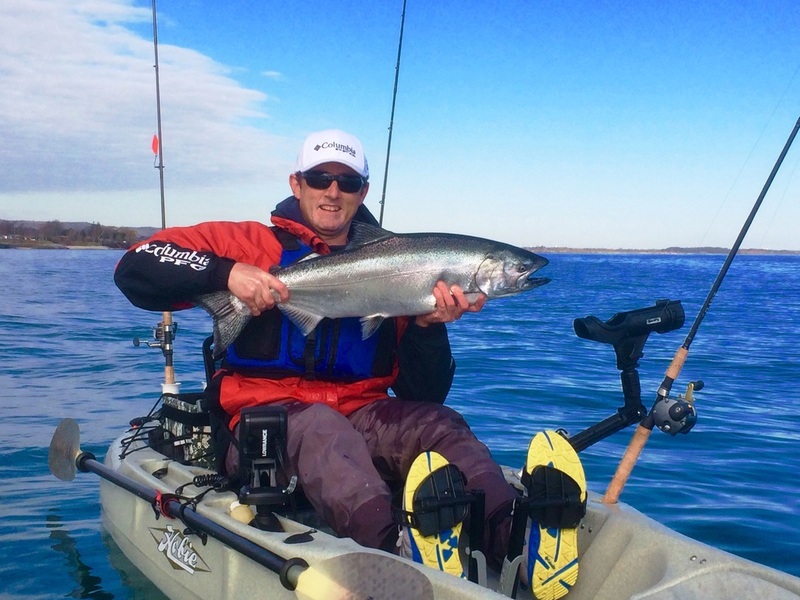 Late Summer and Fall promises an abundance of large salmon and trout near-shore opportunities. 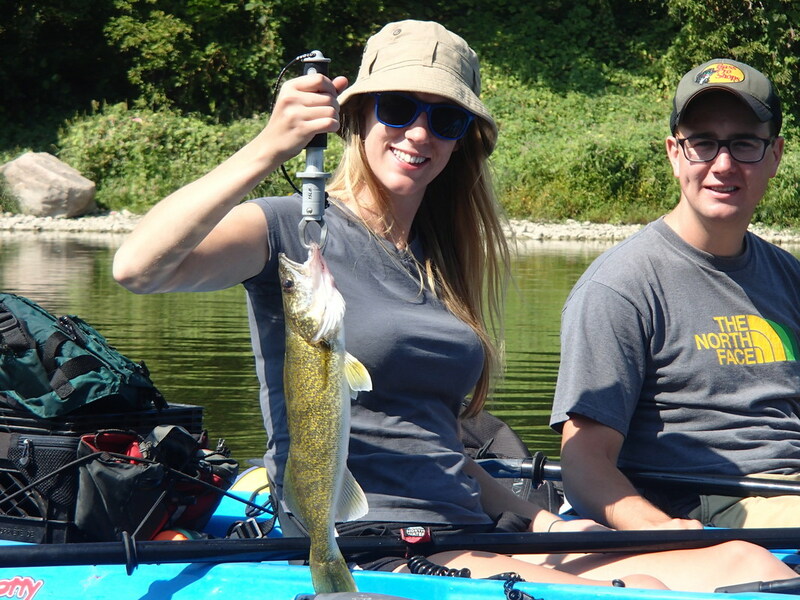 Our summer trips from June to August consist mainly of bass, big channel catfish, northern pike, longnose gar, and walleye. Kayak fishing trips on Southern Ontario rivers guarantee high flying smallmouth bass action from summer to late fall! Trips can be re-scheduled to later dates with 48hrs notice of cancellation.